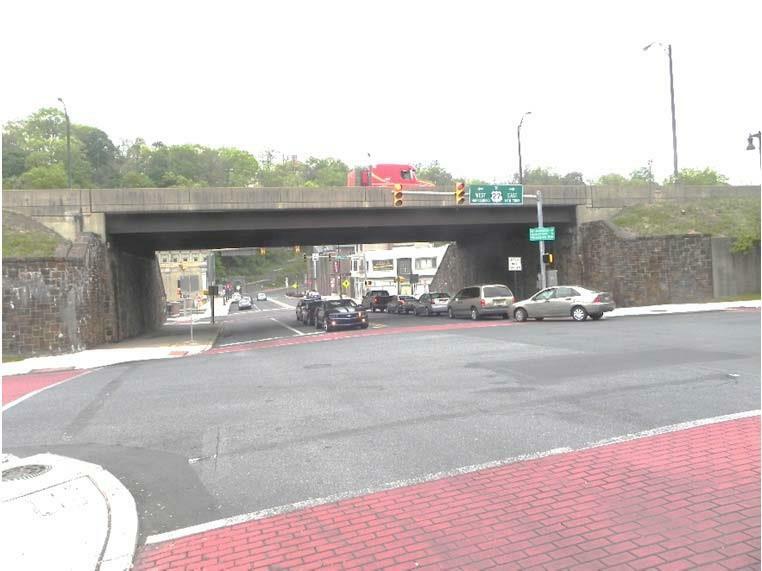 As a sub-consultant to Parsons Brinckerhoff, Inc. (PB), AEA responsible for the rehabilitation of the Route 22 over Bank Street and Third Street bridges on Pennsylvania approach and Mono-tube sign structure at New Jersey Toll Plaza. Project involved the field inspections to perform condition assessment, elimination of deck joints by removing the abutment back-walls, portion of deck slab and approach slab, and reconstruction of semi-integral abutments and portion of deck slab; jacking of both bridges to replaced existing steel bearings with new elastomeric bearings with steel bolsters; remove existing deck wearing surface and resurface with Latex Modified Concrete Overlay on both bridges deck; superstructure strengthening; and substructure repairs. Performed field visual inspection and prepared condition assessment report; superstructure strengthening by replacing the existing end diaphragms with new end diaphragms; performed elastomeric bearing design by using AASHTO LRFD specifications and steel bolsters design to accommodate the less height elastomeric bearings; semi-integral abutments with relief and sleeper slabs design and details; and prepared substructure repairs details and procedures. Prepared foundations/drilled shafts retrofits details for the Mono-Tube sign structure. Prepared construction bid documents including Contract plans, construction details, supplemental specifications, quantity calculations and construction cost estimate for the both approach bridges and Mono-tube sign structure. Also, provided construction support services include reviewed shop drawings, prepared responses to RFI and consultation during the stage construction.